In the quest to deliver pure recombinant protein for assay, biophysics or crystallisation, the addition of an affinity tag, to fish out the target protein of interest during purification from its crude biological source, is a powerful approach in any protein scientist’s toolbox. The protein may be from an E. coli lysate or a secreted protein from many litres of mammalian or insect cell media. The range of affinity tags available now is prolific and the decision as to which is best to use is dependent on what final use the protein will be put to. With decisions on which tag combination to use, the terminus of the protein to add them to and cleavage sites to use if the tag needs to be removed, the final decision more often comes down to personal experience and what has been successful previously. Tag choices and their application can often, therefore, be laboratory and group specific (for a good review see Vasiliki and Falcone’s recent review of Polyionic tags). At a practical level, what about tags to enhance the stability or expression of a protein known to be problematic? A protein which would drop out of solution when you look at it – or so it seems! The addition of a larger, protein fusion tag, such as MBP, GST or SUMO, which has good solubility, could be appropriate to hold the target protein in solution by avoiding intracellular aggregation. This can allow time for the more problematic target protein to fold. Such solubilising fusion partners are all well and good, however, they may not be appropriate for delivery to some assay formats or crystallisation studies. The presence of a large fusion protein tag could interfere with the crystallisation process and any resolution down the line. For these applications, fusion tags would be avoided, or more commonly, proteolytically cleaved before crystallisation attempted. Tag cleavage can, however, bring with it the common outcome of a return to the initial target’s instability issues with precipitation and poor protein recovery. Thus, a different route of co-expression with a chaperone or antibody fragment binding, as a crystallisation tool, might be tried. 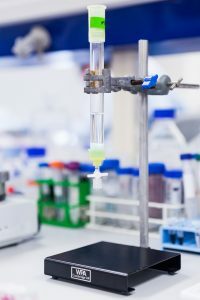 What about protein for assays or biophysical characterisation? 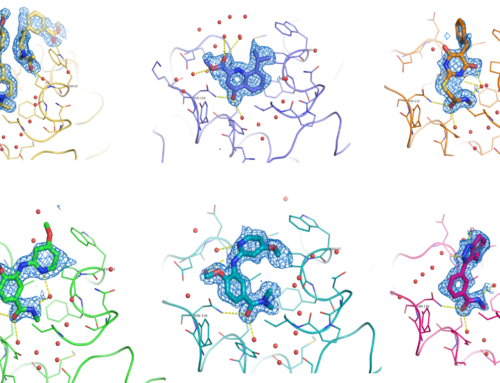 The tag options may be dictated by the type of assay set-up or the need for a stable, bound protein profile in techniques such as surface plasmon resonance (SPR). Peptide tags, such as polyhistidine, biotinylated Avi and Strep tags are good options for both purification and for binding to plates or surfaces without the additional larger molecular weight and possibly occluding the protein of interest’s activity. Such tags can be designed with a linker e.g. multi-GSGSGS, to hold the protein at a distance from the tag and thus reduce any further chance of interference with the target protein’s activity. Affinity tags also have varying specificities which allow an immediate, greater degree of purity without carryover of contaminating protein into the eluted product. However, this will come with an additional expense. An example of this is the FLAG tag which gives good specificity on protein capture but has the down-side of relatively low binding yield, and expensive reagents with both the anti-FLAG chromatography resin and the FLAG peptide necessary to elute the bound protein. All tags have their positives and negatives, and these factors must be balanced in designing a robust purification process to deliver the highest quality protein product for the cost, time and effort involved. As we say in the lab, ‘If it’s not part of the solution, it’s part of the precipitation.’ Have a look at our case studies to see the application of this balancing act at Peak Proteins during the protein tag purification process.